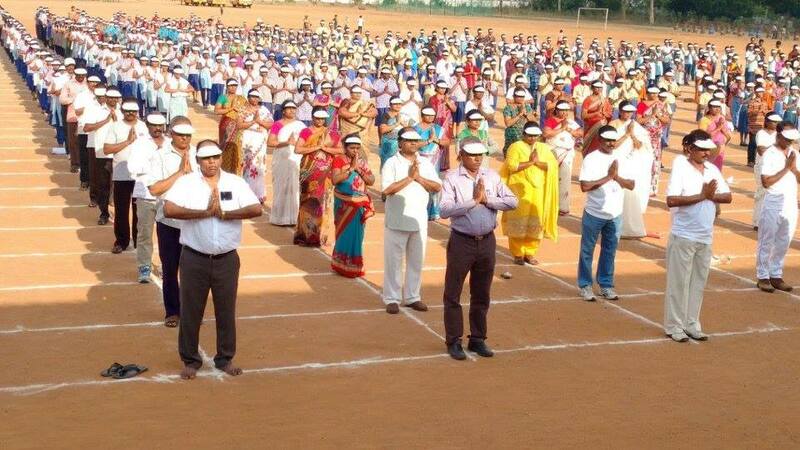 About 60,665 Coal Miners, Officers and their family members of Singareni Collieries Company took part in Yoga programme conducted in connection with international yoga day on Tuesday. Out of which about 30,940 Miners and Officers participated in yoga program in 46 mines and 63 departments at the beginning of their first shift i.e. at 7.30 AM in the morning. They performed different yoga asanas and participated in Dhyanam. In the evening session of the program which was conducted in Singareni stadia located in 11 areas and also in 25 colonies, about 29,725 coal miners along with their family members took part in it. It is first of its kind in the history of coal mine industry. Sri N. Sridhar, C&MD said that huge response is seen among the workmen and their spouses for this mega event. A weekday long training was given to Coal miners in Yoga asanas, which resulted in good show of the event.